A 3rd work by Caravaggio is a little different in style. 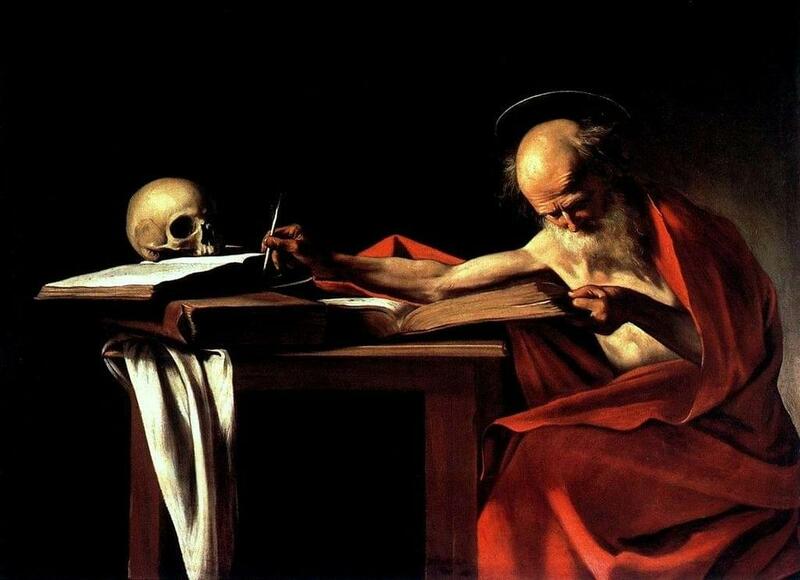 It’s the beautiful painting of a bearded old man writing at a table with a skull placed on a book. Have you found it? Let’s take a look.